Jim and Greg are the Rock Doctors. They prescribe a musical remedy for a rock fan in need: this time acclaimed graphic novelist & comic book writer, Mark Crilley, is in the waiting room. It's been a busy week for the pop charts. For 45 years, Elvis dominated the Billboard Top 100 with 108 career hits. This week Lil' Wayne beat The King's record with his 109th hit - a cameo in The Game's "Celebration." 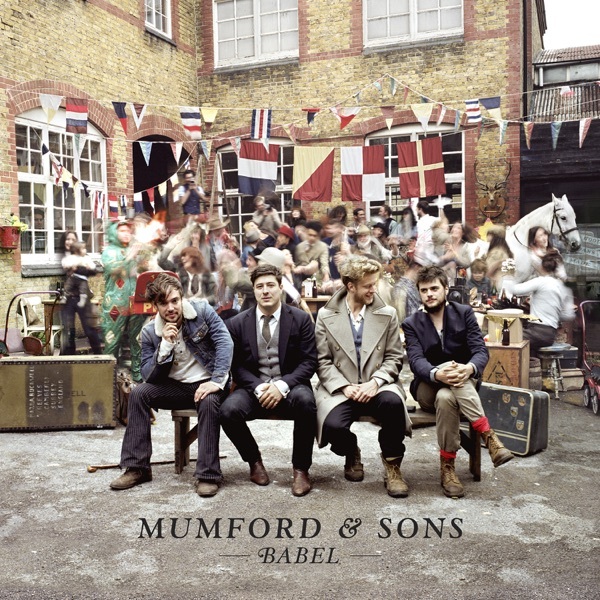 And with 600,000 in first week sales British folkies Mumford & Sons had the biggest opening of 2012 with Babel. They also beat Spotify's streaming record, with 8 million listens in its first week. So much for the theory that streaming cannibalizes sales. After upsetting fans at New York's Global Citizen Festival with the announcement that the band had no upcoming shows, Dave Grohl has finally put those Foo Fighter breakup fears to rest (or not?). In a letter on the band's website, Grohl says the band is simply on hiatus. Jim says he wouldn't mind if the hiatus were permanent. Those of you lucky enough to be able to work to music know that finding a perfect soundtrack isn‘t always easy. There’s the matter of tempo, lyrics and beats. And for acclaimed comic book creator, children's book writer/illustrator and graphic novelist Mark Crilley, the challenge is“vibe.”His latest series for Dark Horse is Brody's Ghost. It follows a serial killer hunter, and the material is much darker than his Akiko and Miki Falls series. Dark art calls for dark tunes, but Mark is a self-proclaimed musical“softie.”So he contacted the Rock Doctors to get a prescription for albums that are edgy, but still full of pop hooks and melody. Dr. Kot prescribed Stridulum II by Zola Jesus. The Wisconsin native combines an operatic voice and Gothic keyboards to create musical psychodramas. After taking his medicine for a week, Mark decides that a couple of the tracks will make his playlist, but for the most part this album was too dark. Dr. DeRogatis prescribed The Haunted Man by Bat for Lashes. This is Natasha Khan's third release, and Mark fell in love with moody lyrics and surprising production. The Haunted Man worked like a miracle pill, and he‘ll be going back for this one while working on the 4th installment of Brody’s Ghost. Look for it next spring. Mumford & Sons' sophomore album Babel has done gangbusters on the album charts, but how will it fare on Sound Opinions' Buy It, Burn It, Trash It scale? Mumford & Co. emerged from London's thriving folk-rock scene in 2009 with a breakout album Sigh No More that landed them a slot performing with Bob Dylan at the Grammys. With their vests, beards, banjo, and dobro, the band sticks out in the mainstream rock scene, but as Greg explains, the difference is only skin deep. The boys' folky instruments and wardrobe are just signifiers of folk. At its base Mumford & Sons are a sadly conventional arena rock band. Jim could not agree more. The band's lyrics are vague and bland-the complete opposite of the biblical stories that they claim as inspiration. Babel gets a double Trash It. Next up is rapper Lupe Fiasco's Food & Liquor II: The Great American Rap Album . It wasn‘t too long ago in 2006 that Jim and Greg reviewed Lupe’s debut, the original Food & Liquor. It was a standout album in a wave of conscious hip-hop coming out of Chicago at the time. Now at age 30, Lupe is a veteran of the rap game. What does he have to offer on Food & Liquor II? According to Jim, plenty of food for thought. Lupe is rapping about issues like misogyny, economic exploitation of the poor, and native American rights that Jim says no one else in hip-hop is tackling. And if Lupe sometimes gets a little preachy, he also leavens his critiques with humor. Greg agrees, but he wishes the greatness of Lupe's lyrics were matched by consistently great production. Despite those production flaws, Food & Liquor II gets a double Buy It. After Mumford & Sons, Jim was sorely in need of a folk-rock palette cleanser. So for his DIJ he chose one of the great folk rock musicians of all time, Richard Thompson. A founder of Fairport Convention, Thompson went on to make music with his wife, Linda Thompson, and as a solo artist. Like Marcus Mumford, Thompson has a yen for the biblical. But unlike Mumford, he used Bible stories to spine-tingling affect. Case in point, "The Calvary Cross," a track he recorded with Linda on their 1974 album I Want to See the Bright Lights Tonight. Listen for the drums echoing Jesus's footsteps as he climbs the hill where he will be crucified.